Today I have a special giveaway for you! 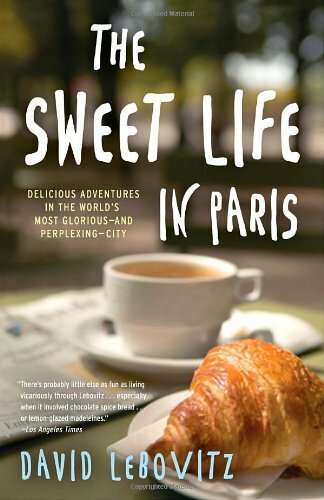 I've been given the opportunity to give away three paperback copies of David Lebovitz's book The Sweet Life in Paris , which is a delicious food memoir about David's experiences as an American living and cooking (and eating!) in Paris. Those of you who read David's food blog will be familiar with his clever prose and seriously (seriously!) awesome recipes. His book brings these together, making it the kind of book you can curl up with, but which will also make you want to get in the kitchen (or at least the nearest French restaurant!). 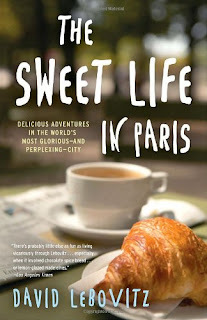 To win, all you have to do is leave a comment telling me what YOUR idea of living "the sweet life" would be. All entries must be in by 11:59 PM EST, Sunday, March 20th. (That's this Sunday) One entry per person. On Monday I'll use random.org to pick three winners. Please be sure to use an email address when you comment so that I can easily contact you. The winners' info will then be sent to Broadway Publishers (who are sponsoring the giveaway) and you will receive your copy of the book directly from them. Your email and contact info won't be used for anything else except contacting you if you win.